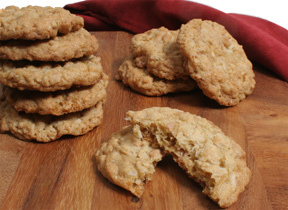 The Rice Krispies in these chocolate chip cookies give them great flavor. 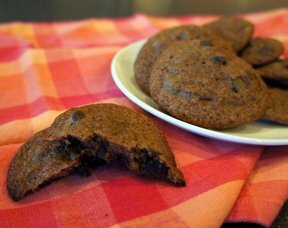 These are yummy cookies that your family won't be able to resist. They are sure to become a family favorite! Cream the shortening, sugar, brown sugar, and eggs together in a mixing bowl until light and fluffy. Add flour, soda, salt, and vanilla; beat until evenly mixed. Add the Rice Krispies and chocolate chips. Mix just enough to distribute evenly. If dough is too stiff to mix with the mixer, stir in by hand. Roll into about 1-inch balls and place on a cookie sheet about 2 inches apart. Or if you have a small scoop you can just drop a small scoop of dough on the cookies sheet rather than roll into a ball. Bake for 10 to 12 minutes or until nicely browned. Before removing cookie sheet from the oven, lift up and allow it to drop back down on the oven rack. This will cause the cookies to fall slightly. Then remove from cookie sheet and cool on a wire rack. Enjoy! "These chocolate chip cookies are the best! They taste so much like the ones my grandma use to make. We always wondered what made them so good. It must have been the Rice Krispies. 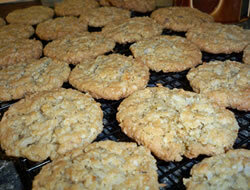 I have made many different recipes for chocolate chip cookies but none called for Rice Krispies. None of the others were as good as grandmas. 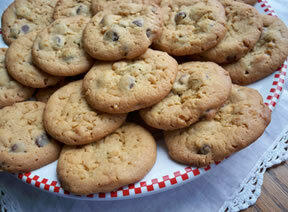 From now on I will be making this recipe when I make chocolate chip cookies."